The Launch Control Center (LCC) and the Vehicle Assembly Building (VAB) at the John F. Kennedy Space Center (KSC) in Merritt Island, Florida. The Apollo missions and later Space Shuttle missions were launched at the LCC and the Saturn V rocket was assembled at the VAB. "LAUNCH CONTROL CENTER." John F. Kennedy Space Center, National Aeronautics and Space Administration. http://science.ksc.nasa.gov/shuttle/technology/sts-newsref/sts-lcc.html#sts-ksc-lps. 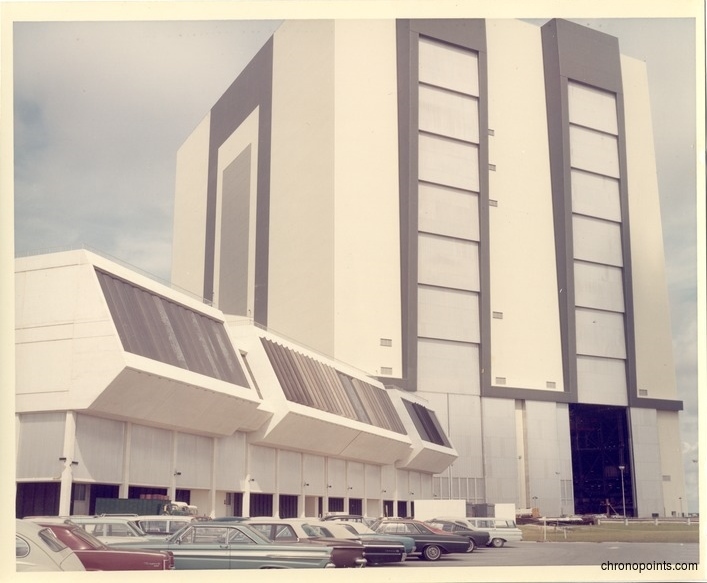 "Vehicle Assembly Building." John F. Kennedy Space Center, National Aeronautics and Space Administration. http://science.ksc.nasa.gov/facilities/vab.html. 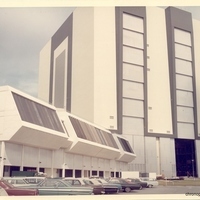 “Launch Control Center and Vehicle Assembly Building at John F. Kennedy Space Center.” RICHES of Central Florida accessed April 26, 2019, https://richesmi.cah.ucf.edu/omeka/items/show/5003.